..... a Sengoku period daimyo in Japan. He was the 21st chief of the Chōsokabe clan of Tosa Province (present-day Kōchi Prefecture). He was the son and heir of Chōsokabe Kunichika and his mother was a daughter of the Saitō clan of Mino Province. Chosakabe Motochika defeated Motoyama Shigetoki and gained control of Shikoku Island. He then went on to take Aki Castle in the 1569 Siege of Aki. Motochika was victorious at the Battle of Watarigawa　渡川, gaining control of Tosa Province. Over the ensuing decade, he extended his power to all of Shikoku. However, in 1585, Hashiba (later Toyotomi) Hideyoshi invaded that island with a force of 100,000 men, led by Ukita Hideie, Kobayakawa Takakage, Kikkawa Motonaga, Hashiba Hidenaga, and Hashiba Hidetsugu. 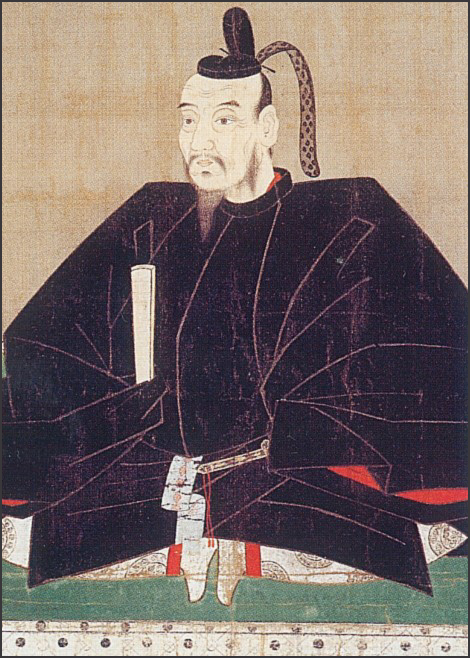 Motochika surrendered, and forfeited Awa, Sanuki, and Iyo Provinces; Hideyoshi permitted him to retain Tosa. Motochika and his son Nobuchika participated in the invasion of neighboring Kyūshū, in which Nobuchika died. In 1590, Motochika led a fleet in the Siege of Odawara, and also fought in the Japanese invasions of Korea in 1592.
at age 61 at his mansion in Fushimi. His successor was Chōsokabe Morichika. Daimyô of the Chosokabe family and eventual vassal to Toyotomi Hideyoshi, Motochika rose to rule Tosa and, for a short time, the whole of Shikoku. The Chosokabe were respected Jito (deputy administrators) of Tosa from the 12th century and entered the 16th Century as vassals of the Ichijô Clan, who were based in western Tosa. Following his conquest of Tosa, Motochika turned north and prepared for an invasion of Iyo. The lord of that province was Kôno Michinao, a daimyo who had once been driven from his domain by the Utsunomiya clan, returning only with the assistance of the powerful Môri. It was unlikely that Kôno could count on that sort of help again, however-presently the Môri were embroiled in a war with Oda Nobunaga. Nonetheless, Chosokabe's campaign in Iyo did not go off without a hitch. In 1579, a 7,000-man Chosokabe army, commanded by Hisatake Chikanobu, attacked the strongest fortress in Southern Iyo, Okayama castle, held by Doi Kiyoyoshi. During the ensuing siege of Okayama castle, Chikanobu was shot and killed by an arquebus and his army defeated, though the loss proved little more than an unfortunate delay. The next year, Motochika led some 30,000 men into Iyo, and forced Kôno to flee to Bungo province. With little interference from either the Môri or the Ôtomo, Chosokabe was free to press onwards, and in 1582 he stepped up ongoing raids into Awa and defeated the Sogo clan. By 1583, Chosokabe troops had subdued both Awa and Sanuki, making Motochika's dream of ruling all of Shikoku a reality. 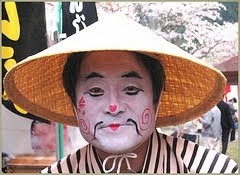 Motochika entered into communication with Nobunaga, whom he fancied an ally. For his part, Nobunaga appears to have humored Motochika, though in private he referred to him as 'a bat on a birdless island' and planned to take Shikoku at some point (in fact naming his son Nobutada commander of the future invasion). This was averted by Nobunaga's death in 1582, and Motochika, whether he was aware of it or not, was given a new lease on life. By now he was something of a national power and became involved in the struggle between Toyotomi Hideyoshi and Tokugawa Ieyasu the following year. He promised the latter support, though made no direct moves to that end. Hideyoshi, to make sure, sent Sengoku Hidehisa (1551-1614) to block any efforts on Motochika's part, though these troops seem to have been roughly treated by the Lord of Shikoku upon arrival on the island. The so-called Komaki Campaign between Hideyoshi and Ieyasu ended in a peace treaty, which bode ill for Chosokabe. In May 1584 Hideyoshi ordered a full-scale invasion of Shikoku, spear headed by 30,000 troops from the Môri clan and 60,000 more under Hashiba Hidenaga. Evidently, the late Nobunaga's assessment of the Chosokabe was accurate enough, for the invaders found a small army with such equipment as was available in poor condition. After desultory resistance, Motochika expressed a desire to negotiate. Hideyoshi's terms were generous. Motochika would get to keep his head and his hard-earned province of Tosa, an offer Motochika did not feel inclined to refuse. In addition to his leadership, Motochika is remembered for his 100-Article Code of the Chosokabe and his struggle to found an economically strong castle town, moving in the course of his career from Oko to Otazaka and on to Urado. The Chosokabe were served by the Kosokabe, Kira (both of whom were led in Motochika's time by his brothers), Yoshida, Kumu, Kagawa (into which Motochika adopted a son, Chikakazu), Yumioka, and others. was the eldest son of samurai lord Chōsokabe Motochika, and lived during the late Sengoku Period of Japanese history. After the subjugation of Shikoku by Toyotomi Hideyoshi, Nobuchika and his father followed the Toyotomi into Kyushu. Nobuchika was caught in an ambush during the campaign against the Shimazu in Battle of Hetsugigawa　戸次川の戦い and died. Nobuchika was Chôsokabe Motochika's eldest and favorite son, and was popular with the Chôsokabe retainers owing to his warm and genial nature. His coming of age ceremony coincided with Motochika's communications with Oda Nobunaga, who provided the 'nobu' in Nobuchika's name, along with a sword and his ceremonial headgear. He was struck down in the retreat from the defeat at Hetsugigawa, on 1/20/1587. ..... the most well-known is the ballad of the vengeful spirit of the Sengoku military commander of Tosa Province (now Kochi Prefecture), 吉良親実 Kira Chikazane, told about in classics like the "Rooho Kidan" (老圃奇談) and the "Shin'i Kaii Kidan" (神威怪異奇談). the 比江村七人ミサキ Hie Village shichinin misaki. in the precincts of Shrine 若一王子宮. Chikazane was a son of Kira Chikasada and a nephew of Chosokabe Motochika. He was married to a cousin, the daughter of Chosokabe Motochika. He showed much promise from an early age but was hot-tempered and combative. In 1586 he protested the demands placed on him as part of the building of Toyotomi Hideyoshi's Great Buddha (which called for lumber from Tosa). When Chosokabe Nobuchika was killed (1587), Motochika named his 4th son Chosokabe Morichika as his heir. Chikazane protested this decision and demanded that Kagawa Chikazane be chosen instead. He had by this time made enemies with Hisatake Chikanao, a leading Chosokabe retainer, and this most probably worked against him. Motochika responded to his vocal complaints by having him placed under confinement. Chikazane was then ordered to commit suicide. of Chikazane, who committed suicide and his seven retainers followed him. - See the story above. was the daimyo of Bizen and Mimasaka provinces (modern Okayama Prefecture), and one of the council of Five Elders appointed by Toyotomi Hideyoshi. Son of Ukita Naoie, he married Gōhime, a daughter of Maeda Toshiie, but Hideyoshi's adopted daughter. Having fought against Tokugawa Ieyasu in the Battle of Sekigahara he was exiled to the island prison of Hachijōjima, where he died. Hideie and 豪姫 Gohime were a loving couple. To have something nice for his wife he had a sweet Sake made in Kojima (Kurashiki).
. Utsunomiya Masatsuna and Kappa at Wakamiya Jinja . Wakamiya Jinja 若宮神社 - The shrine is dedicated to Masatsuna (1447 - 1477). Come summer, pond water will be stagnant and murky, but a fresh infusion of snowmelt from the mountains makes it clear enough to reflect snow of the peaks. - Good Bye ! Please come back soon !